“It’s time to free ourselves from the obsession with the perfectly formed, beautifully diverse audience,” declared Nicholas Hytner in the Sunday Times a decade ago. There has been some – but of course not enough, not nearly enough – movement and improvement in British theatre’s diversity to suggest that when Hytner made those comments he was already swimming against the tide. But I wonder whether it might be that the 2018 Edinburgh Fringe has really proved him wrong and proven that there is a massive – and diverse – audience out there for shows of all kinds. If there is one thing that I notice in Edinburgh this summer with more, though still not nearly enough, work made by artists of colour and disabled artists and female theatremakers, is that there is an audience for it. A big audience. Yes, it’s a predominantly white audience, because that is still the make-up of both artists and audiences on the fringe. But it’s beginning to change. If you build it, maybe they will come. And come again. Leaving The Fishermen at Assembly George Square, I passed a young man giddy with joy telling a friend that he will be seeing it again as soon as it transfers to London. Pioneering shows such as Hot Brown Honey, and last year’s offerings including The Believers Are But Brothers from Javaad Alipoor as well as Selina Thompson’s Salt, made a small dent in the programme in terms of presenting different stories. This year there are more, from Trojan Horse to Freeman and Queens of Sheba to White. Several of the most successful shows at the fringe are entirely female-led, from Cora Bissett’s What Girls Are Made Of and Penelope Skinner’s Meek at the Traverse, to Dressed at Underbelly. The learning-disabled company Hijinx is back in town collaborating with Spymonkey on the farcical The Flop, and delighting audiences in the main house at Summerhall. There are still far too many people working in British theatre who see diversity as something that is being thrust upon them by the Arts Council and with which they must comply. It is the sort attitude that means theatres congratulate themselves when they programme an August Wilson play or a play by a woman and think they have therefore done their bit. But many genuinely do understand that greater diversity on our stages (and in theatre’s management structures too) is good, not just because those in receipt of public money should reflect the country in terms of race, gender, disability and disadvantage, but because diversity brings creative benefits. I would eat my critical notebook if Spymonkey did not find it has learned as much from Hijinx as Hijinx has learned from Spymonkey. 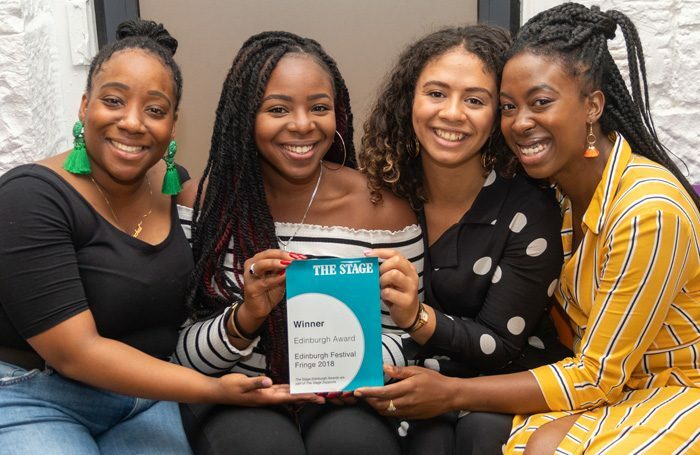 But even when the work is being made, theatres are still reluctant to programme it, convinced that they won’t be able to get an audience for plays written by women or stories created by people of colour or disabled artists. Of course, they won’t if that work isn’t programmed, and then programmed again. An audience doesn’t spring up overnight like mushrooms. You have to cultivate it and keep on tempting it back until they feel that this publicly funded space might just be a place where they might feel a bit at home. At a time when money is tight, and failure at the box office can tip a theatre towards catastrophe, it’s perhaps not surprising that programming tends towards the safe. As Alipoor observed to me early this year when talking about his revival of One Flew Over the Cuckoo’s Nest on Sheffield’s main stage, as soon as you start thinking about what you might stage, the desire for diversity runs headlong into the urge to run to safety, the urge to keep talking to the same people you have always spoken to wins. As Alipoor observed, when you start programming for safety it’s not surprising that your list of possible plays suddenly reduces to six familiar titles by white men. But Edinburgh, with its audience of all ages including many over 50s, puts the lie to the idea that you can’t sell tickets to your existing audience for different stories. Maybe the people you have always spoken to are just as eager to hear tales from a different perspective and see different faces and bodies on stage? The shows that have done well here this year are the shows that are distinctively different and diverse. Theatre around the country during the rest of the year needs to look to that and learn. Because if diversity not only brings cultural benefits but also delivers a bigger audience, what reason can any cultural organisation have not to sign up?